2014 in review – What a year! This past year has been crazy – a baby, a death in the family, etc… And I hope that 2015 brings more time to try new things in the kitchen (and pass it onto you!). Happy 2015! 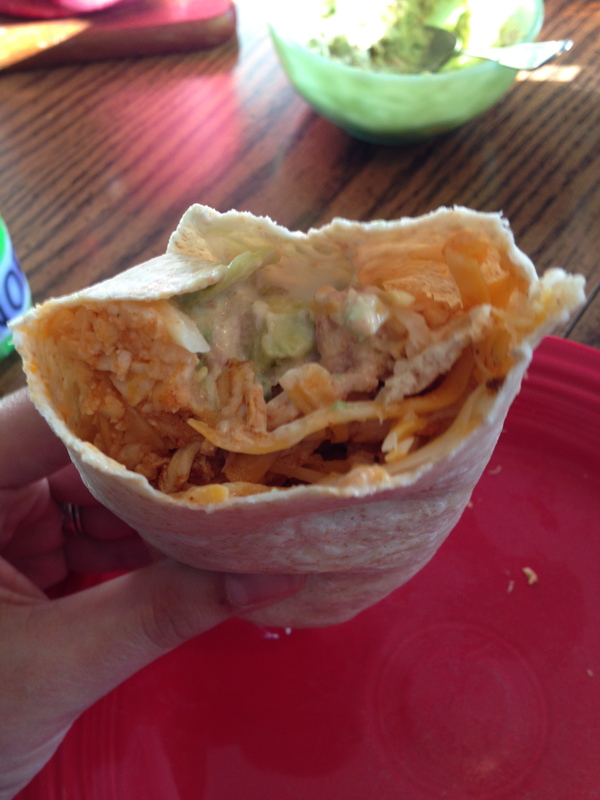 One of my favorite quick service spots to eat is Moe’s Burritos. Unfortunately, my hole-in-the-wall town doesn’t have a Moe’s (or a Chick-fil-a, don’t get me started) so I have to resort to booking flights with connections in Atlanta and making sure my layover is long enough for me to hop over to Terminal C so I can eat at Moe’s. See how sad I am? I decided that I wanted to try to make something similiar for dinner to tide me over until my next flight in ATL. 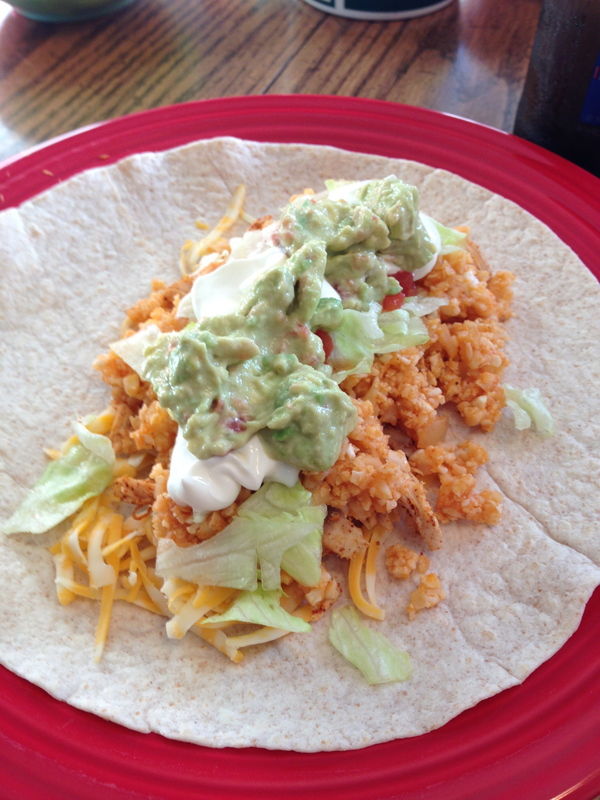 I used low-carb tortillas (because I’m lazy and don’t make my own, but you can) for the burrito, made a cauliflower mexican rice that I found to be a great filler for the burrito. But I didn’t think the rice worked very well as a stand-alone side. 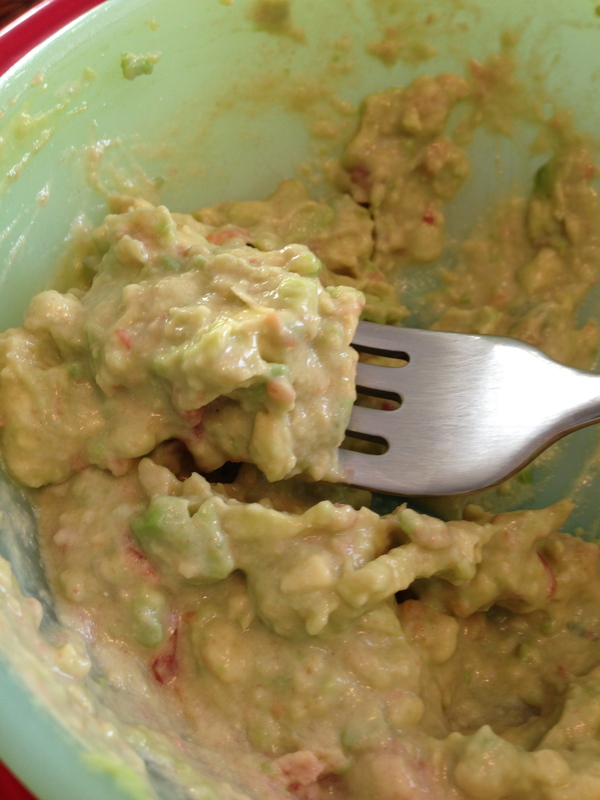 And I whipped up some guacamole (mash avocado and add some homemade salsa, a dollop of sour cream, and salt). Heat coconut oil in a pot. Add onion and sauté until clear. 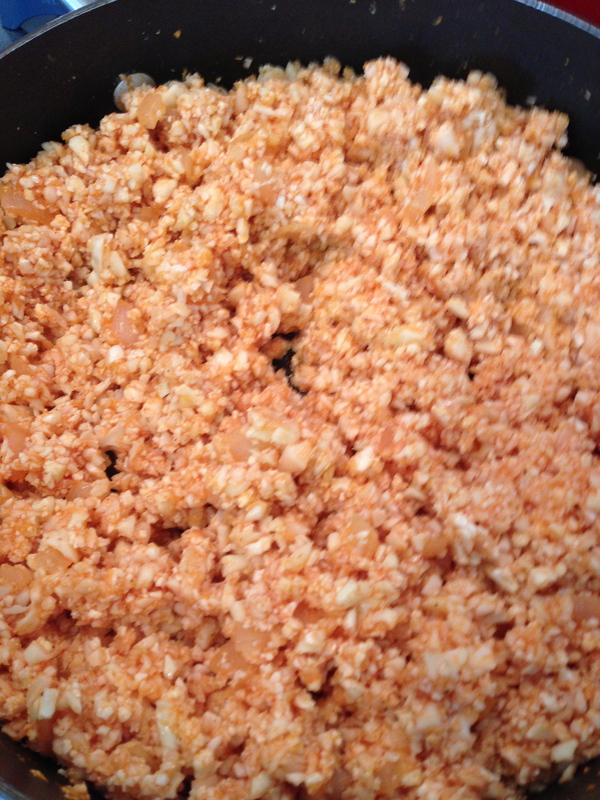 Add riced cauliflower in large pot and add all spices/tomato sauce. I add sauce until it looks “right” to me. I know that’s not very specific. 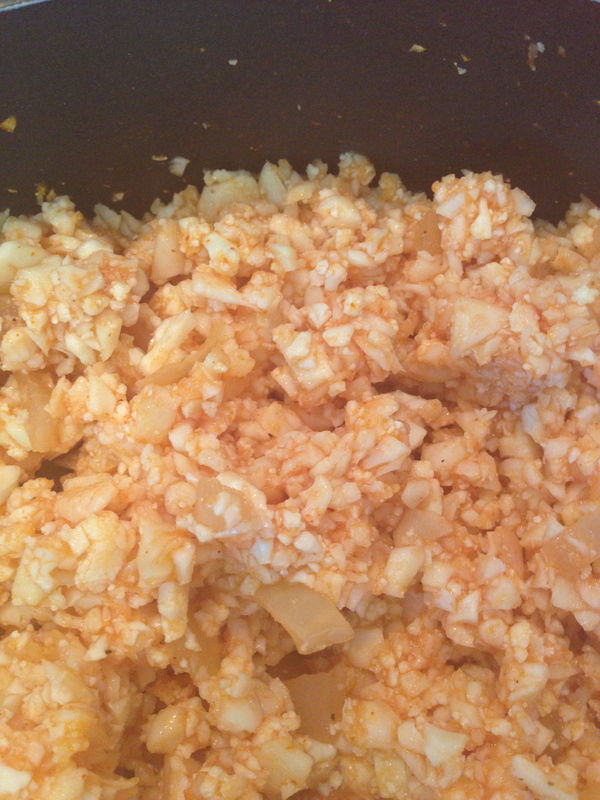 Heat cauliflower through, about 20 minutes, on med heat. 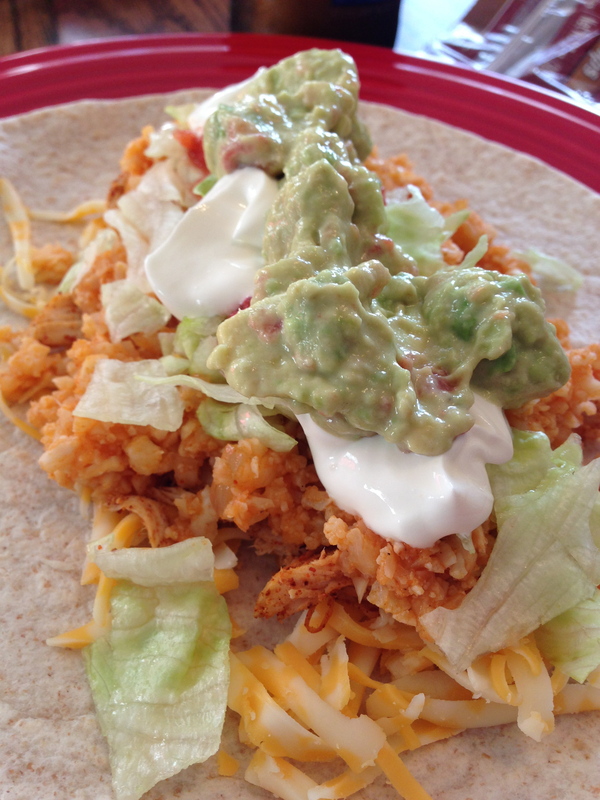 Then take a tortilla, add some previously cooked chicken, then some rice, then some cheese, then lettuce, salsa, sour cream, guacamole, etc… Whatever you usually like on your Moe’s burritos.